Ah…the peach……it is said to have originating in China in 1100 BCE. It has become famous in paintings by the likes of Caravaggio, Renoir, Monet & Van Gogh. The characteristics of it’s sweet flesh and soft skin have become notable in the English language for such sayings as “peach fuzz”,” “peachy keen”, and “life’s a peach”. It is used as a main ingredient in pies, cobblers, ice-cream, jams & salsa or just eaten fresh off the tree on hot August days! But most of all…..the peach taste best when canned in August & September and eaten during the Winter months when the temperatures dips down below freezing. There’s nothing like homemade canned peaches to bring you back to the dog days of summer when there’s a couple of feet of snow out in the yard! 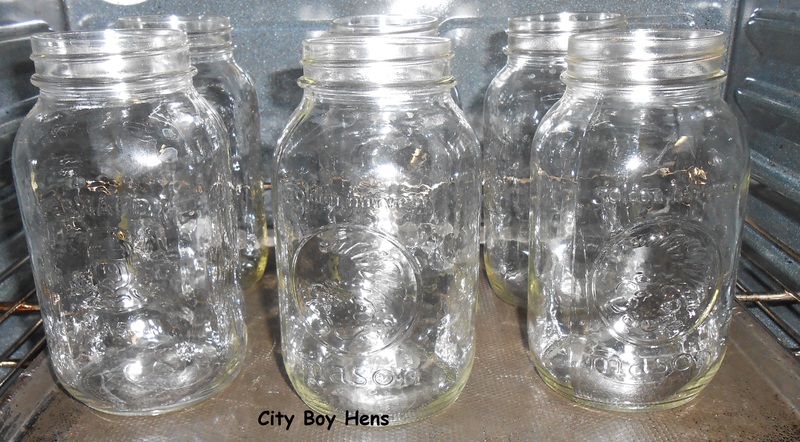 Sterilize your jars in the oven at 225 degrees Fahrenheit for 10 minutes and continue to keep them warm in the oven until they are needed. 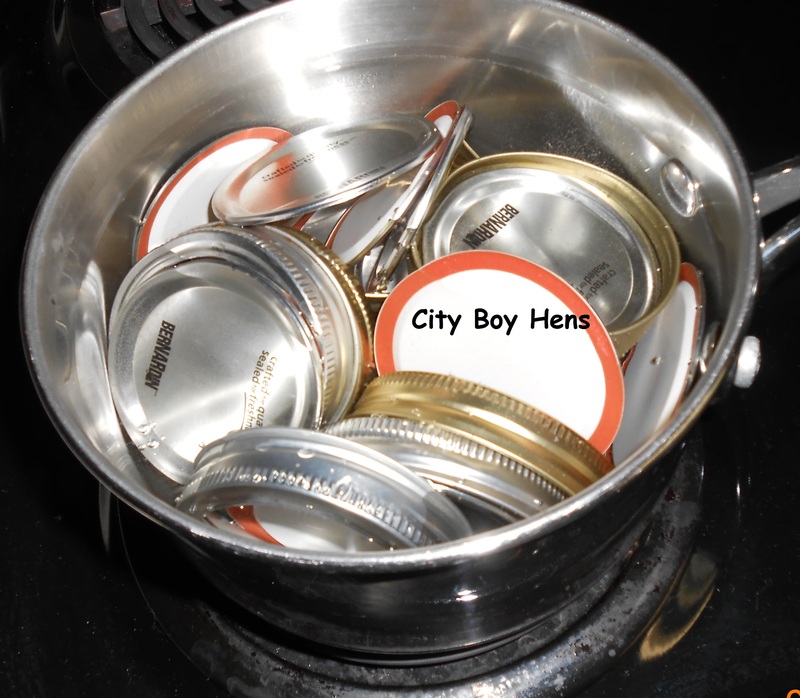 Place canning seals and rings in a small pot and begin to warm them up. Wash, peel and remove any bruises or blemishes from the peach. 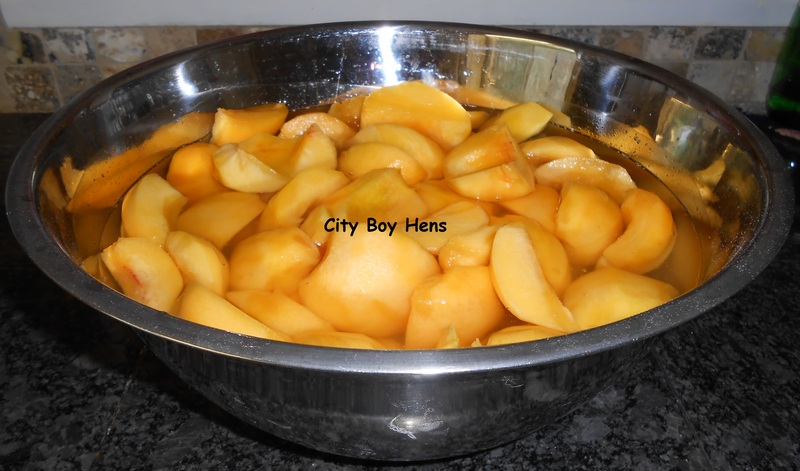 The first year that I canned peaches, I tried blanching the peach in order to remove the skin. This was a complete waste of time which yielded poor and frustrating results. Give it a try if you don’t believe me, but I promise you’ll go back to the peeler. 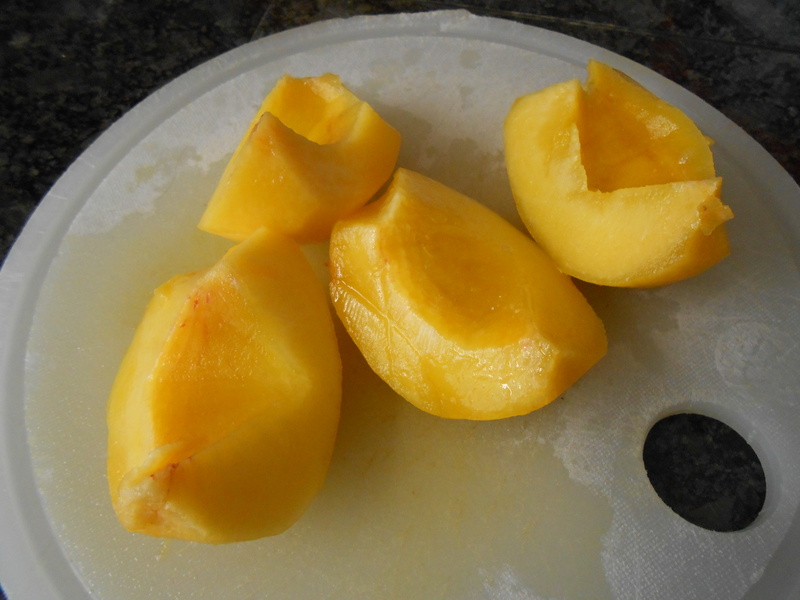 Blanching works great for removing the skin off of very ripe free stone peaches, but it is not suitable for a canning peach. Now…tuck those babies in the cantina or cold cellar and wait for those cold winter days when you will need a reminder of the dog days of summer! 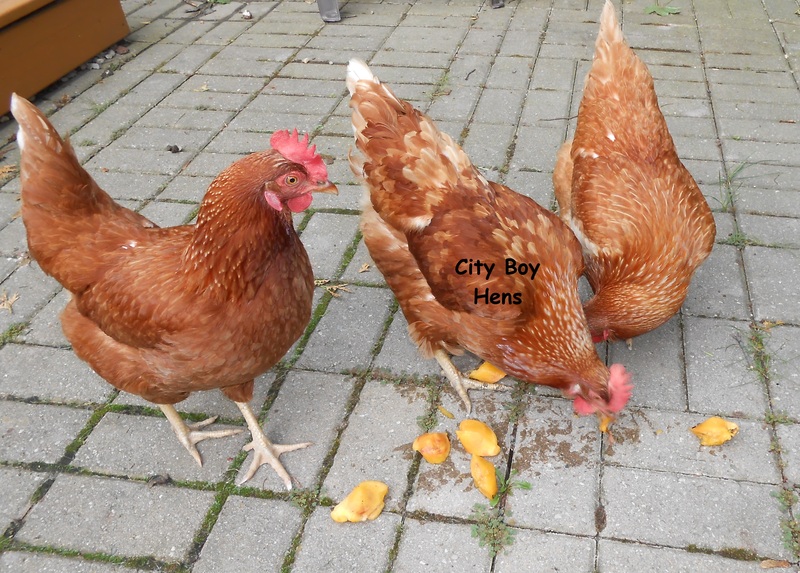 Oh…I almost forgot………..keep the peels for the compost and the pits for the chickens! What do you mean by “freestone” v. “canning peaches”? I thought “freestone” were canning peaches. And I understood “clingstone” peaches were difficult to can without commercial equipment. Free-stone peaches will give you a mushy product. You will have to work a bit to remove a cling stone, but the reward will be in firm canned peaches. Yum 🙂 Thanks for sharing on the HomeAcre Hop! Your peaches really do look lovely. I haven’t heard of using ascorbic acid, neat trick! My mother bottled her peaches in a similar manner. So of course, I’ve followed in her footsteps. I haven’t bottled them for quite a few years though. I have the best recipe for peach cobbler using your bottled peaches. YUM! My daughter put some up last year and gave me a few bottles to make it. Thanks for sharing with SYC. 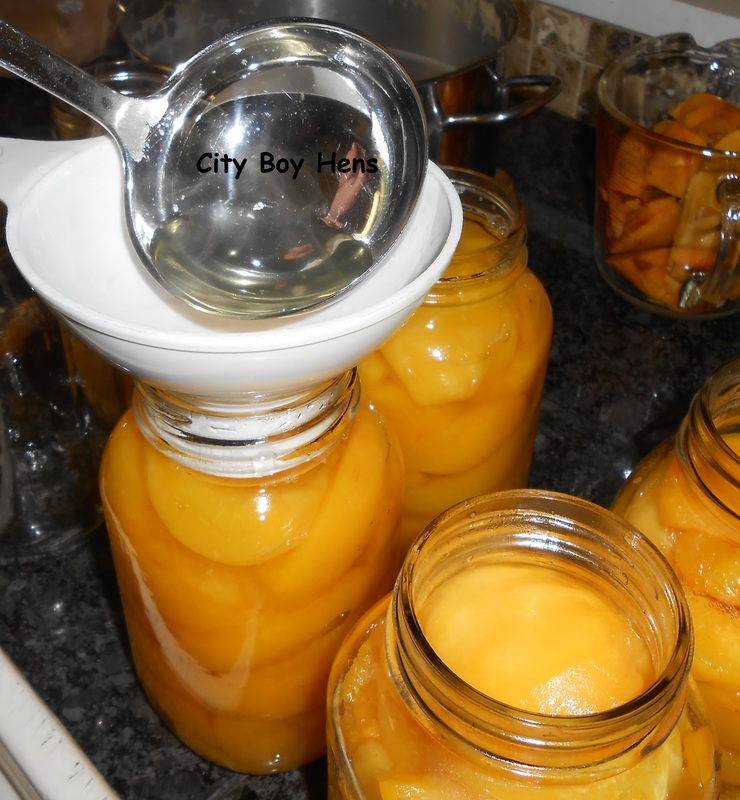 Love, fresh, homemade canned peaches – wonderful tips and information! I love your sense of humor. I have never done peaches (don’t really like them) but at least now I know I can! LOL Thanks for sharing at Tuesdays with a Twist. Can’t wait to see what you share this week. Just saw this post and now I can’t wait until summer so I can try this. I’m not sure which will taste better–fresh off the tree is pretty hard to beat. Thanks for the info. Fresh in season is always great but canned in January in minus temps is pretty darn good as well! Hope you’ll give it a try next summer. 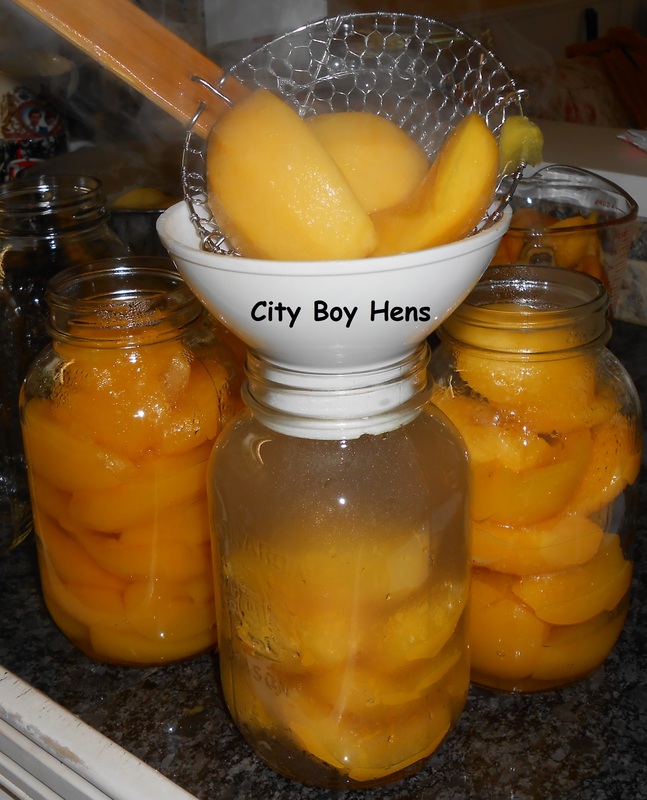 We can 10 bushels of free stone Red Haven peaches every year for eating in our home made yogurt. We do blanch to peel, cut into smaller wedges and can in their own juice, which forms when slicing (especially when the 4, 7 and 9 year olds help). We don’t mind the softer peaches, flavor is fantastic!, and color stays bright the first year of storage, then pales slightly by the second. Just couldn’t possibly can that many of the cling stone which need hand peeling and pit prying. We try to can a half year extra just in case of a bad crop year so we don’t have to do without. Thanks for your comments. That’s a lot of peaches! When it’s cold like RIGHT NOW….there’s nothing like a canned peach to remember summer. I have a peach tree and I don’t know what kind of peach tree it is. They are small to medium size. 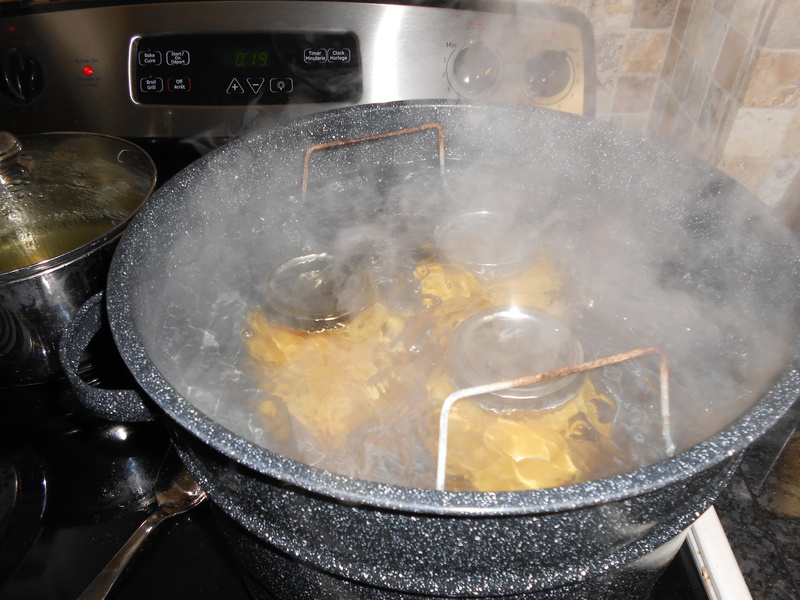 How do I know if they are right for canning? It’s best not to have a “cling free” peach (the flesh doesn’t stick to the stone). Those peaches tend to go mushy when canned. Hope this helps. 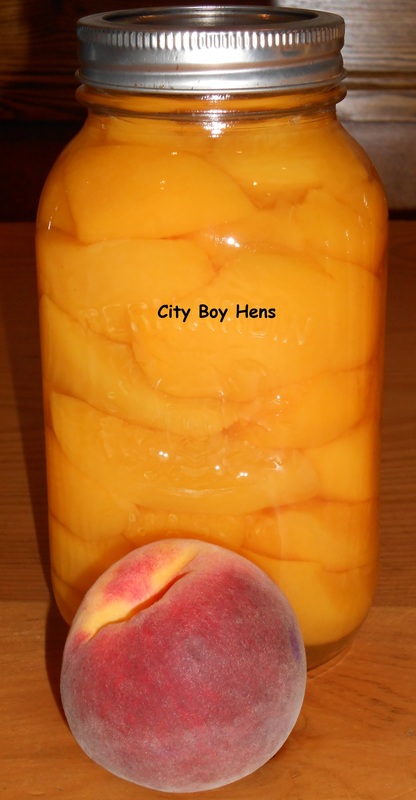 Have you heard of canned “pickled” peaches? When I was young my grandmother made them every year and they are wonderful. Sadly I never thought to ask her for the recipe and when she passed I never found it. I have searched web to no avail. Ideas? I have never pickled peaches, though a quick search DID yield a lot of recipes. Maybe have a look again. 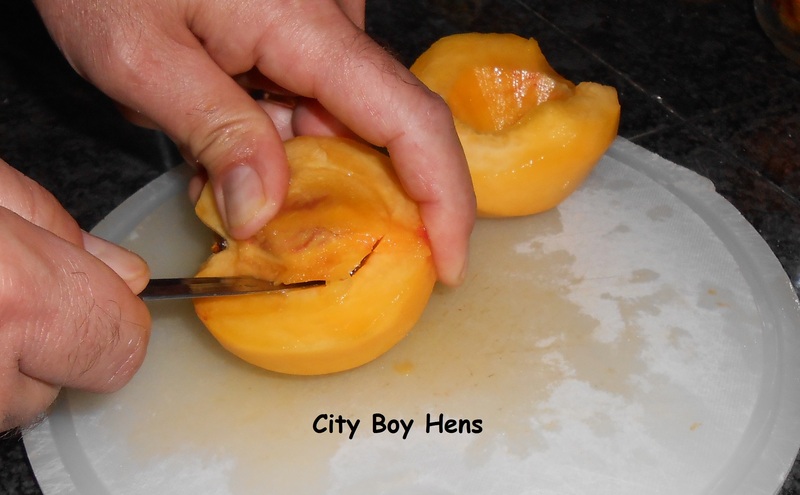 Use the pits and skins to make Peach Pit Jelly. It’s awes ok me. Peels and pits can be cooked in water 30 ro 45 mind to make a juice that you can make jelly with. That is what I do with mine.